It’s amazing how so many things change once you’re pregnant! I sometimes still can’t believe I am pregnant; and every day I wake up with a huge smile on my face and rub my belly and cherish the little life growing inside of me. Ever since my husband and I got the good news, I’ve been more and more careful with what I’m putting in to and on to my body. I have always been a healthy eater; but now I really always splurge on organic fruits, vegetables, dairy, eggs and meat. I also did a complete overhaul of my beauty regimen and started using natural products on my face and skin. Just recently I came across an all natural hair care line, Nine Naturals. Grace Lee is the founder of Nine Naturals. A devoted mother and wife, Grace quit her job as a vice president on Wall Street in order to dedicate her life to creating chemical-free, high-performing products for women. When Grace became pregnant with her first child, she learned about the health risk posed by chemicals in beauty products and the effect they can have on the growing baby. Grace now has a healthy one year old daughter, Charlotte, and she wants to educate other women and mothers on the harmful toxins in many of today’s products. 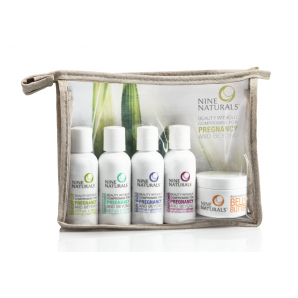 All of Nine Naturals products are 100% natural, with no parabens, phthalates, triclosan, DEA, chemicals, dyes or synthetic fragrance. It only makes sense to use natural hair care products, since I wash and conditioner my hair daily (or every other day). I absolutely love the citrus and mint nourishing shampoo and conditioner from Nine Naturals. They both smell so divine and help me get energized in the morning before I go off to teach. The conditioner doesn’t weigh my hair down and I surprisingly have to use very little in my hair to keep it moisturized and tangle free. 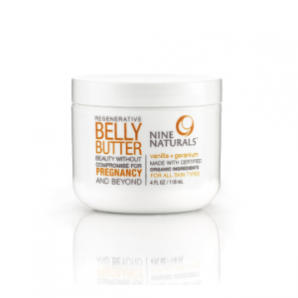 I like using the mandarin and ginger restorative conditioner once a week at night, when I lie in the tub filled with the citrus and geranium body wash.
Nine Naturals vanilla and geranium belly butter and stretch mark cream is really awesome. I feel so good rubbing it on my tummy morning and evening and my skin feels amazing afterwards. The scent isn’t overwhelming at all. I really love knowing that my little guy inside is completely nurtured and safe. Pregnancy has been such a joy for me and I really try not to stress too much about anything. If I’m out to eat with Tim and we order a hamburger, I’m not going to freak out if it’s not grass fed. 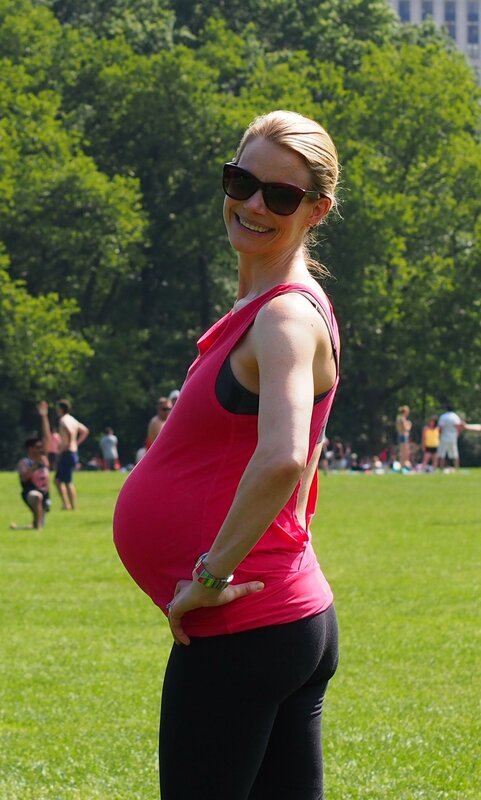 I think it’s important for moms-to-be to relax and enjoy the ride. It’s also great to be informed and to know that there are products out there that are 100% safe. There’s still uncertainty about many things and we can’t control everything; we can just do the best we can to treat our bodies and our growing babies with TLC.